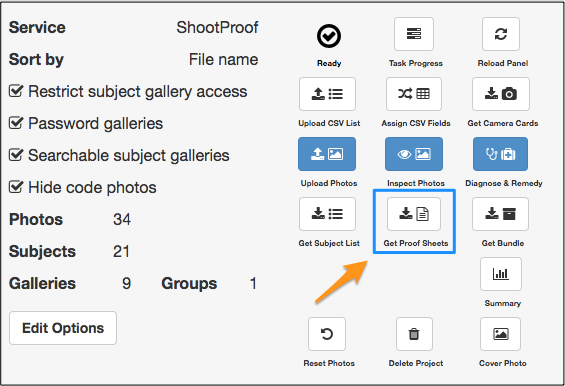 Easily create proof sheets for Subject and Group photos. We made it easy for you to generate proof sheets that you can customize to your specifications. Simply upload a JPEG of your form template and choose what Subject data to include and where to place the photos. You have the option to include only Subject images, only Group images, or both. 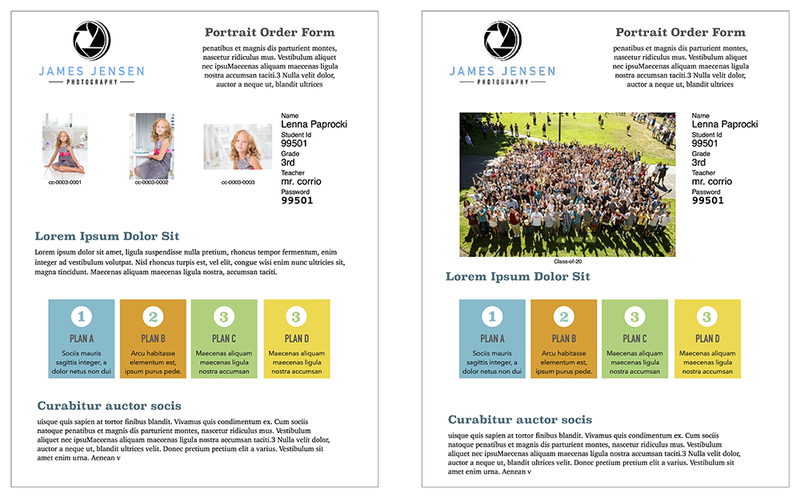 Choosing to include both Subject and Group images will generate two proof sheets per Subject — one for their individual photos, and one for their group. • If Class exists, we use Class. If not, we try Grade. If not, we then try Teacher. • If you wish to sort by Grade, don't include a Class header in your CSV. • Excluding both Class and Grade headers from your CSV will sort the proof sheets by Teacher. • If Class, Grade, and Teacher are all missing, we'll sort alphabetically by Subject name. Use Snapizzi Stars to control the order the images are printed. Otherwise, images will export in the order you see them in the Inspector. 1. 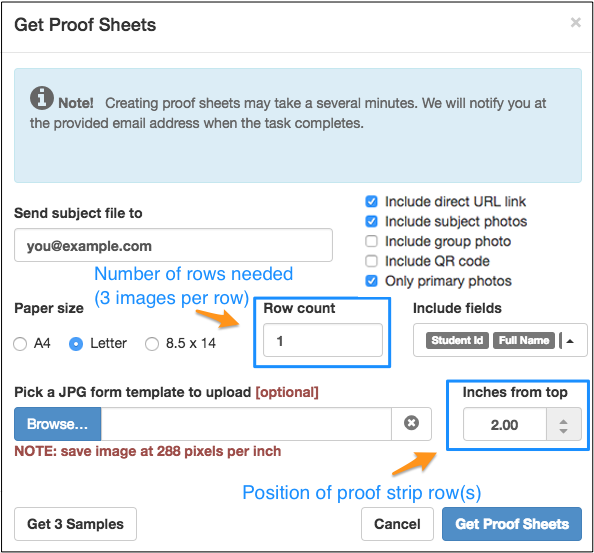 Select your Project and click “Get Proof Sheets”. 2. Choose your proof sheet options. Upload a JPEG of your form template(288 PPI) and choose what Subject data from your CSV to include and where to place the photos. Row count doesn't apply to group photos. They only get one. Requesting proof sheets without uploading a template will give you just the output that you can use to design your template. You have the option to include only Subject images, only Group images, or both. Choosing to include both Subject and Group images will generate two proof sheets per Subject — one for their individual photos, and one for their group. Select the position of the photos and number of rows to fit your template. Include direct URL link: Subject gallery URL on your remote platform. Include QR code: Add a QR code with the direct URL embedded so customers can scan and go directly to their photos. Please note this is a QR code for the direct URL and is not the same as the DataMatrix code used by Snapizzi for camera cards. 3. That's it! You'll receive a single PDF of your proof sheets. • Can I selectively generate proof sheets?